Everything is painted straight out of the box. 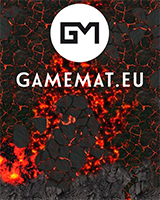 Check out also their battle reports in Warhammer 40k using our terrain and mat. And please not buildings are stackable to create true hive for Necromunda!